Joint Euro 2012 betting favourites Germany have named Per Mertesacker in their preliminary squad for the tournament. The giant defender has been out of action since suffering a serious ankle injury in Arsenal’s 2-0 victory over Sunderland at the Stadium of Light in January. However, boss Joachim Low has included Mertesacker in his initial 27-man party for Poland and Ukraine alongside future Gunners team-mate Lukas Podolski. “We have spoken with Per and he has put in a lot of effort in getting back to fitness,” said Low. The news represents a major boost for the Germans, who are currently available at odds of 11/4 to win Euro 2012 – the same price as defending champions Spain. In other words, punters who use their free £25 bet for registering with bwin to back Germany to win the tournament would pocket a return of if their prediction proves correct. Low also sprung a couple of surprises by selecting former Manchester United and Northampton Town goalkeeper Ron-Robert Zieler and uncapped 18-year-old Julian Draxler, who plays for Schalke. Germany will be based in Gdansk during Euro 2012, where they take on Portugal, Holland and Denmark in what is widely viewed as the toughest group in the tournament. Atletico Madrid v Athletic Bilbao: A tale of two strikers? 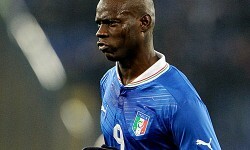 Terry’s Euro 2012 inclusion in doubt after Anfield shocker?